I’ve talked a lot in this beginner series about the value of heavy weight lifting – particularly in minimalist training programs that require less time spent in the gym. And while I believe very strongly in them, I also know that it’s certainly not the only way to train. I also recognize that, depending on your goals and preferences, it may not be the optimal solution either. In today’s post, I’m going to explore a different approach to training – the high volume approach, high rep, low weight approach. 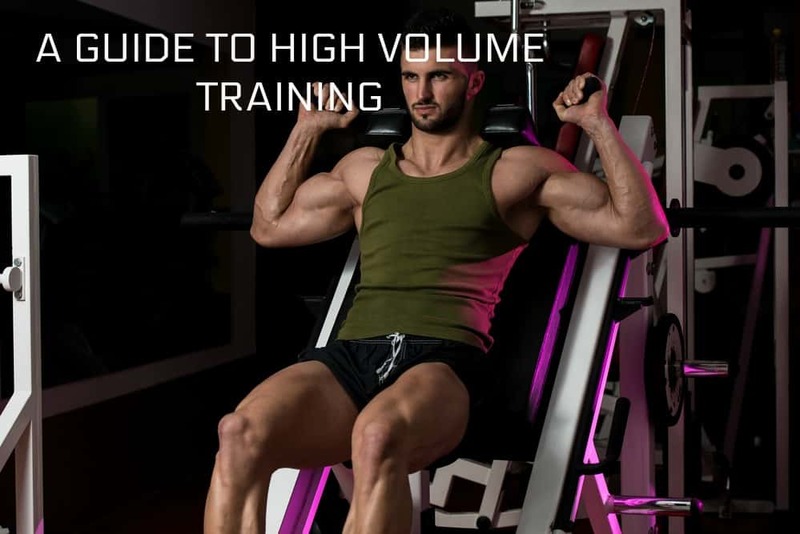 Before I crack into this and break down how you should be approaching high volume, I think it’s important to define what exactly “volume” means. The true definition of volume, from a weight training perspective, refers to the total amount of work done. This means taking into account the total number of repetitions, sets and the amount of weight you’re lifting each week. For our purposes, we’re using the term “high volume” to refer to a routine that puts a lot of emphasis on the total amount of work being done in the gym. I’ve bolded the word “work” because it’s an important distinction. A lot of new trainees seem to be under the impression that a high volume routine simply means doing a lot of reps and sets. And while that’s partly true, it’s not the whole story. You have to take into account all the factors that go into work – and that means factoring weight in as well. What Do I Mean By “Low Weight”? The other mistake new trainees make when approaching a high volume program is assuming that they’re going to be throwing little ten pound dumbbells around for hundreds of sets. Here’s the thing – when I say “low weight”, what I really mean is lower weight. A weight that allows you to a.) lift in a higher rep range, and b.) handle more overall sets. It does NOT mean lifting baby weight, and it is NOT an excuse to be lazy in the gym. In fact, a good, well programmed high volume routine will have you working just as hard as you would lifting heavy – you’re just taking a different approach. How Many Reps Should I Be Doing Per Set? Generally speaking, I recommend that you stick to the 8-12 rep range for most exercises. This is a good, solid range that will allow you to handle a decent amount of weight while still being able to handle a high workload. With that said, there are going to be a few exceptions, since there are some exercises that lend themselves better to even higher reps than that (legs, in particular, respond well to more reps). Generally speaking though, 8-12 is a good range and one that guys have been using to pack on muscle and size for decades. 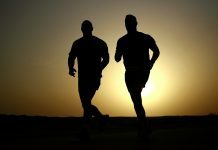 What Are The Advantages Of High Volume Training? A high volume approach has a few benefits over other training styles. The first advantage is that it’s beginner friendly. A high volume program will have you going through reps and sets. This is perfect because as a beginner, you really need to spend time going through these motions, perfecting your form, and learning how to engage the muscles you’re working. But it also has a lot of advantages for experienced trainees as well. One of the big trends that’s dominating fitness right now is heavy, minimalist lifting (squatting is the new bicep curling, apparently). And don’t get me wrong, I think this kind of heavy training is great (I wouldn’t have included it in this guide if it wasn’t). But I do see a lot of guys who adopt these minimalist programs get “stuck” after a while – both in terms of size AND strength. Switching to high volume is great when you find yourself in a rut, and the reason for this is a little something called “periodization”. Periodization is a long-term system in which a lifter cycles through various training styles and rep/set/weight schemes in order to maximize growth and prevent stagnation. And no, this does not mean jumping from workout plan to workout plan every two weeks – it means intentionally and intelligently changing “phases” every few months. So if you’ve been lifting heavy for what seems like an eternity, and you feel like you’re stuck, consider decreasing the weight and increasing the volume for a few months to get the gears turning again. You’ll often find that the increase not only gets you building more muscle mass again, but it also ramps your strength back up. As for the disadvantages, one of the most obvious is time. There are no two ways around it – high volume = more time in the gym. So if you’re already short on time, this might not be the training program for you. Because this approach has you spending so many hours in the gym, it can also potentially lead to overtraining if you take it to far. Does High Volume Training Build More Muscle Size Than Lifting Heavy? The main paradigm in weight training used to be that high rep, high volume training was for building muscle and size, and low rep, heavy weight training was for building strength. While there is some truth to that, it’s also a massive oversimplification. Because while muscle mass and strength are technically two different things, it’s important to remember that they both affect each other. It’s pretty self-evident when you think about it. A person with a lot of muscle mass is much more likely to be strong, and a person who’s strong is likely to have a lot of muscle mass – despite the fact that they’ve done two different training programs to get there. So, does high volume work build more muscle size than heavy lifting? Unfortunately, the jury is still out, although recent research indicates that the differences between the two may not be as significant as we once thought. How Should I Progress In A High Volume Program? If you’re going to adopt this approach, it’s important that you set things up so you can win. And that means setting up your program so that you can continually make progress. Remember, progressive overload (the ability for your body to handle progressively more stress over time) is one of the key drivers in strength and muscle size. A lot of guys seem to be under the impression that progressive overload only refers to getting stronger over time (i.e. lifting more weight). While that’s part of it, it’s important to remember that the ability to perform more reps and sets also matters – a lot. As you’ll see in the sample routine I’ve included below, I’ve set things up so that you’ll be working within a range of repetitions (8-12 reps for example) for any given exercise. Start with a weight that makes 8 reps a challenge, and then work your way up. Once you can bang out 12 reps, then increase the weight. As you get stronger and more muscular over time, you may find that it gets harder and harder to max out your reps. If that’s the case, you may want to consider adding an extra set in to get your volume. 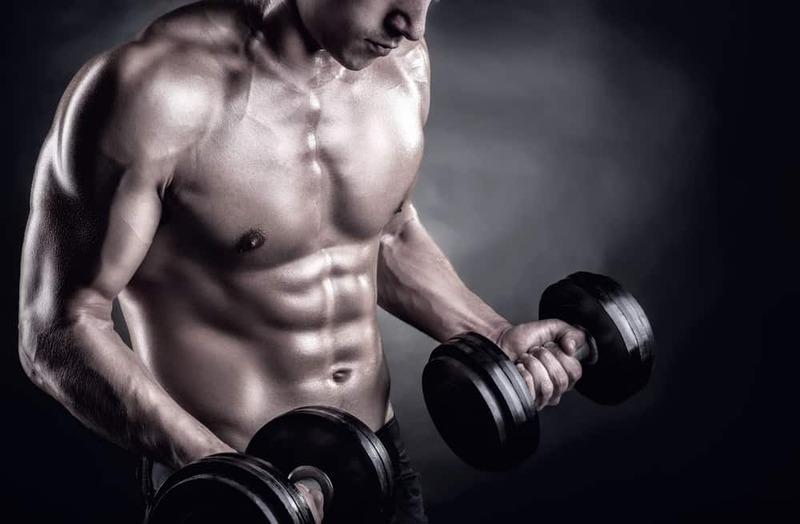 The following is a beginner-friendly, high volume program that will have you working out five days per week – one muscle group for each day of the week. Although it’s technically a body part split routine, I’ve included a lot of compound movements as well, so there will be some overlap. That’s why I’ve broken up the training days in a way that gives the muscles a chance to recover. For example, I’ve got you benching on Tuesday, which works mainly the chest, but also hits the shoulders and triceps fairly hard – hence why you’ll be doing arms and shoulders later in the week. Remember, like all programs, you’ll want to keep a training log and track your progress. Make sure that you’re pushing yourself to increase either the reps or the weight during each workout. Next articleShould You Start Powerlifting?